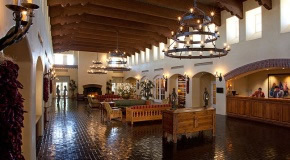 The Hotel Albuquerque will serve as the Host Hotel for the 2019 System Dynamics Society Conference. The Albuquerque Hotel is a luxury hotel located in the heart of Old Town and offers a unique location in the historic district. Albuquerque Hotel is within walking distance of historic landmarks, restaurants, local shopping and many other things to do in Albuquerque. Booking Instructions: Rooms have been set aside from Friday, July 19, 2019 to Friday, July 26, 2019 at the rate of $139.00 plus tax per night (single/double occupancy). To receive the special conference room rate, please CLICK HERE. You may also contact the hotel by calling +1 (866) 505-7829 and ask to be connected to reservations. State that you would like to be placed within the SDS International Conference block of rooms, or refer to the Block Code 1907SDS. Please make your hotel reservation by June 28, 2019. After June 28th, the special room rate cannot be guaranteed. If you wish to extend your stay, Hotel Albuquerque will accept room requests for three days pre- and post-conference, this will depend on the availability of both space and conference-rate rooms. 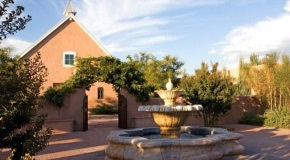 To learn more about the Hotel Albuquerque and Old Town, please visit Explore Albuquerque. If you have questions or problems regarding any of the information above, please contact: [email protected].